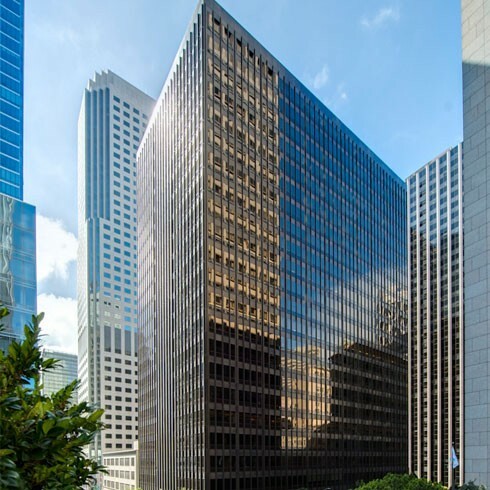 50 Beale Street | Paramount Group Inc.
50 Beale is a 24-story, 660,000 square feet Class-A office tower located on the corner of Beale and Mission Streets in San Francisco’s South Financial District. The building is conveniently located one short block from the new Transbay Terminal and the Embarcadero BART station on Market Street and is surrounded by high-end retail shopping, cultural hot-spots, as well as luxury hotels and first-class dining opportunities. 50 Beale was originally built as a headquarters building for the Bechtel Corporation and has unique features such as additional ceiling heights, a public plaza, and efficient column-free floorplates.